Just have to give a shout out to my favorite local Chinese spot - J's Peapod. 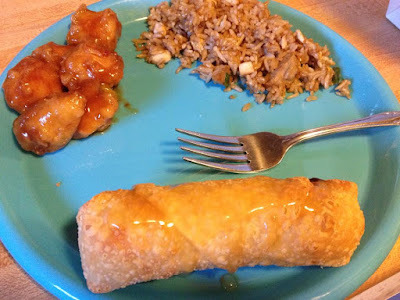 They have two locations in Lansing and among our family's favorites are the egg drop soup, sweet and sour chicken, teriyaki skewers, orange chicken and combination fried rice. The egg rolls are delicious and come in a large portion. I always over order because I love to have leftovers for a couple days. Sometimes if I'm making a chicken or beef dish for dinner, I'll stop by there for an order of vegetable fried rice to serve as a side.